Zusje / Little Sister. 1995. 1. The video-obsessed Martijn ... pays a surprise visit to his sister ... on the day of her 20th birthday. As soon becomes apparent, Martijn has a bit of a chip on his shoulder -- probably something to do with his incestuous lust for his kid sis when she was just nine years old. Seen in frequent flashbacks, it's unclear what their relationship was really like as children, or even who wanted what -- or whom. Over the course of an hour and a half, we are invited to somewhat relive the past, and figure out this twisted bit of history. 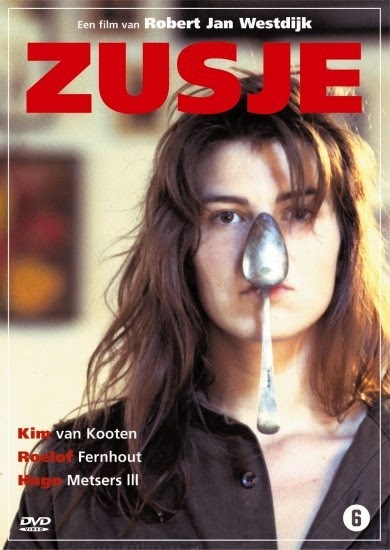 Cast: Kim van Kooten, Romijn Conen, Hugo Metsers, Bert Pot, Roeland Fernhout, Ganna Veenhuysen, Hannah Risselada, Michael Munninghoff, Alenka Dorrele, Peter Idenburg, Taco Keers. Download Zusje / Little Sister.